Custom finishes start from £70 depending on the post or size, should you be interested in a more bespoke colour we do recommend that you call the sales team for a quote and lead time. Below two of our previous custom pieces beautifully demonstrate the quality and care taken to re-finish your chosen design. Another features a number of brown swatches painted onto a post, allowing the customer to select their ideal shade. We always use a raincoat quality paint for most RAL numbers and if painting a reclaimed post we can always pre-treat with a rust killer, such a red oxide before priming and painting. The only finish available in a polyester powder coat is black. 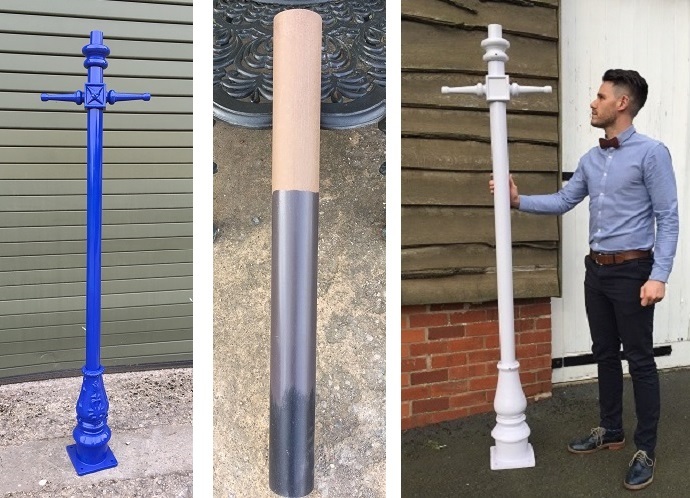 Here are a couple of examples of complete lamp posts that have been specially finished in unique paint finishes. Each of these lamp posts has been intricately painted by hand in our in-house paint workshop. One of our favourite options is to pick out the embossed details of the lamp posts casting, most popularly done in silver or gold. 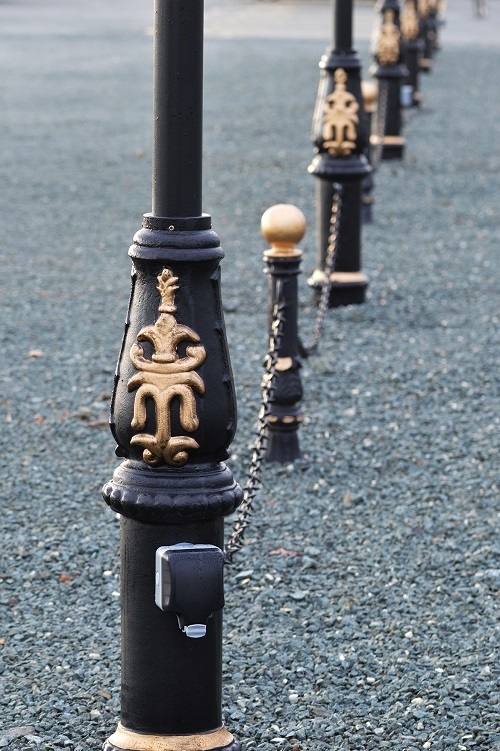 This is shown below in gold with matching detail bollards. Please email us: support@englishlampposts.co.uk or call us on 0800 6888461 for more details.